Over the past three months, we had the pleasure of working with Carlsbad Village Association in bringing to the Carlsbad business community, a series of talks designed for help business owners and managers to be more successful at marketing. We covered leveraging Facebook to create awareness and improving sales, using Instagram for a superior brand play, and crushing competition via ranking on search. 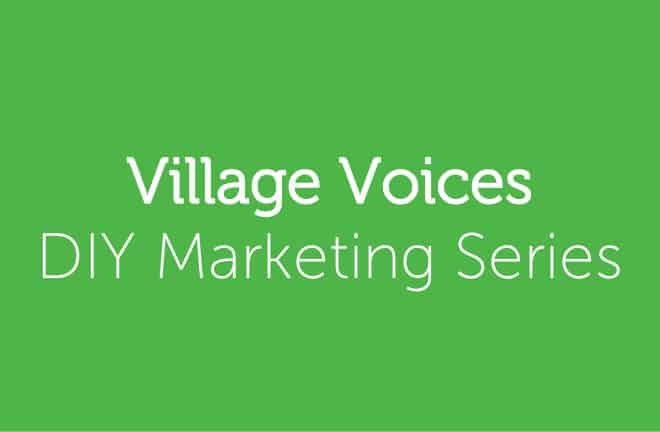 We received great feedback from the community, and by popular demand, we are hosting three more DIY Marketing Series sessions for the upcoming Village Voices meetings. And without further delay, here are topics we have in mind for the next three months. We look forward to the ongoing engagement with the community! No matter how awesome you are at anything, it’s difficult to know everything. We wanted to host an AMA so that the merchants can safely and discreetly ask those marketing, advertising, and branding questions they might be afraid to ask. We will have several of our team members attend so that we can comfortably answer a variety of topics that may be thrown at us. Small businesses don’t have the marketing budgets of larger companies. In fact, in many ways, marketing is sacrificed for other business expenses. Even if we can’t afford to hire marketing firms or in-house marketing professionals, we can do great marketing using DIY tools. Based on what we learned so far of the characteristics of the business that are currently attending the Village Voice meeting, we will hand-select those tools and resources, go over during the meeting. With help from CVA, we would like to survey the business stakeholders and ask what they might want to hear/learn more about. It’s likely that we find the topic we need to cover after the AMA session, and we thought that reaching out to the community can keep topic catered and on point with your needs. We want to keep the theme open and let the community determine what you would like to learn and discuss. Give us a call, shoot us a message, say hello at the coffee shop, stop by the office, tweet at us, or leave a comment below on what you would like us to cover.